My mainstay and favorite conditioner of all time is good ol (extra virgin) coconut oil. It nourishes my hair, gives it shine, smoothes the strands, and results in incredible softness. What more could you ask for in a conditioner? I know you are thinking, you can condition with just coconut oil? Yes, in fact any oil of your choice can be a conditioner. 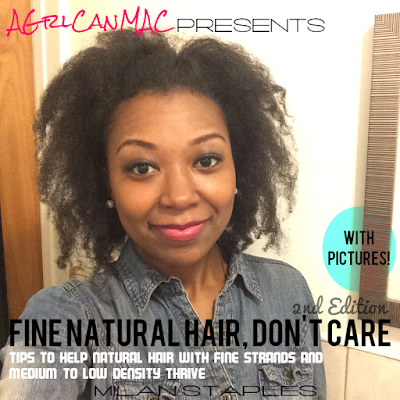 Check out The Natural Haven's post on deep conditioning. It changed my hair's life and kept more money in my pocket. 4) Repeat on the rest of head. I usually end up with 6-8 sections when I'm done. coconut oil, olive oil, and castor oil mixture...is my favorite, I plant to add avocado oil to the mix soon. I leave it in while I do chores then shower out. Hey Foxy: Avocado oil's great. It's a "moisturizing" oil as well. I used to use it a lot back in the day but I got cheap and don't use it anymore. Hahaha. I may revisit again soon though. Hey Jaded: well as you know I condition my hair before I wash it. So after I've conditioned with the coconut oil, I wash my hair and then, yes, I use a leave in conditioner.